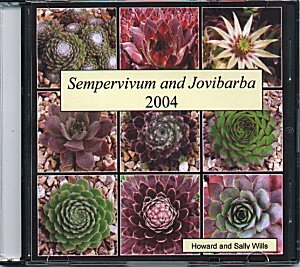 Sempervivums and Jovibarbas are a group of succulent plants which can be reliably grown outside in areas where the winters are quite cold (certainly down to -10 C and probably -20 C for may species. Fernwood Nursery hold the NCCPG collection of these plants and this CD documents and illustrates many of the species and cultivars grown. As such it is a very useful reference work for anyone who is attracted to growing these plants in their gardens. It is very economically priced and highly recommended. Available from Fernwood Nursery for £5 + P&P.